$3550 (1989) . . . 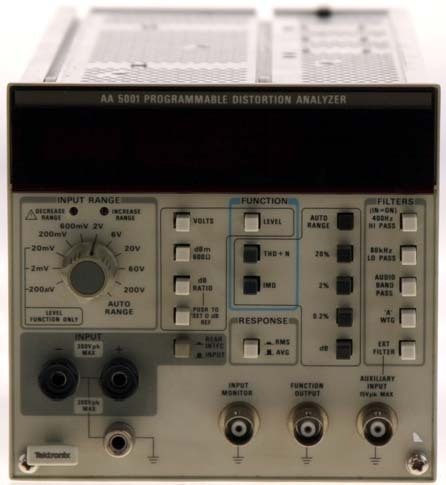 The Tektronix AA 5001 is a programmable Distortion Analyzer packaged as a two-wide TM 5000 plug-in. 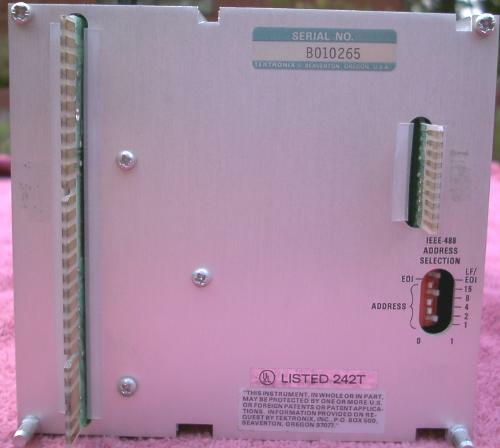 It provides measurements of total harmonic distortion, gain/loss, signal to noise ratio and audio levels. The measurements are accomplished automatically, with no level setting, nulling or meter ranging to be done. The measurement result appears on a 3 ½ digit LED display with no additional scale factoring necessary. 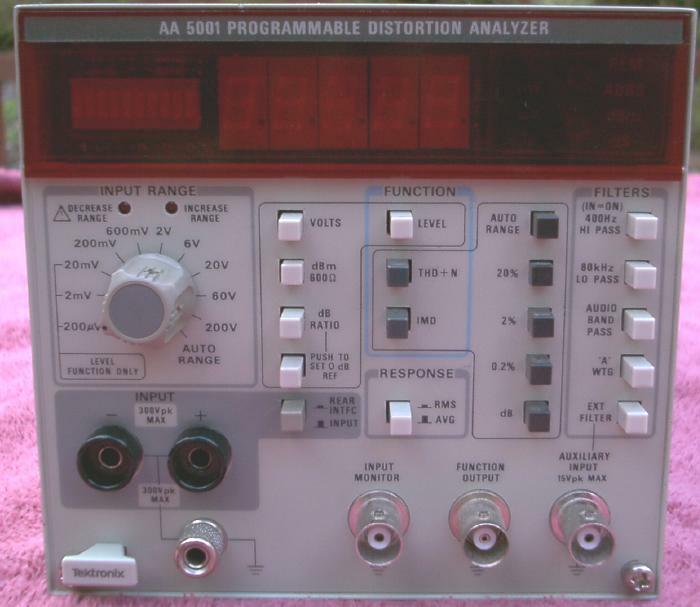 Full automatic 'Total Harmonic Distortion plus Noise' (THD+N) or 'Intermodulation Distortion' (IMD) measurements. The fundamental frequency range is 10 Hz to 100 kHz, with harmonic measurements to 300 kHz. Auto ranging digital voltmeter from 200 µV (full scale) to 200 V (full scale). The AA 5001 provides HP-IB compatibility plus programmability. Option 02 adds fully automatic SMPTE, DIN and CCIF difference tone measurements (min. input level 60 mV). Needs a TM 5000 series power supply/frame, occupies 2 slots.